Previous Google crosses the web/brain barrier? One note: a lot of people on the spectrum have difficulty processing what you might call “high level” stimuli from more than one sense at a time; thus, for example, they might find both listening to a person and maintaining eye contact to be overwhelming, and look away while paying attention to the words. The end result of this is that the assumption that someone is only paying attention to something they’re looking at 1) comes closest to holding for purely visual stimuli (looking away to “process” it might still occur, I suppose) and 2) is a needless, unfortunate, and almost cruel roadblock to full and productive participation in social, academic, and professional settings. This article is written in the “deficit” style of thinking about autism (it’s right there in the title). It’s a huge value judgement to call a difference in social orientation an “impairment.” It’s only an impairment to NT folks who don’t know what to do when others don’t respond to them as they expect. I’m sorry if you find the term offensive – Perhaps you’re close to someone with ASD and you resent them being labeled with a term that carries negative connotations. If so, I can understand why you would be bothered. The word “deficit” that I used in the post wasn’t of my own invention; it’s standard lingo in the research trade. If I understand you correctly, you’ve suggested that saying ASDs perform less well than NTs in the area of social communication is to make a value judgment. If that’s the case, then I’d have to say we disagree. As we live in a world where social communication skills are vital to full participation in the society at large, the ability to attend to and process information from faces, including making eye contact, responding to emotional displays, recognizing faces, and following attentional cues, is quite important. To the extent that an individual presents a “different” (lower) level of competency in terms of these skills, it’s logical to think of the difference as a liability. This isn’t to say that the social cognitive profile of ASDs is wrong, incorrect or “bad” in some absolute sense, but only to say that relative to the cultural practices of modern homo sapiens, one will probably do less well if they don’t possess “normal” levels of social cognitive facility. 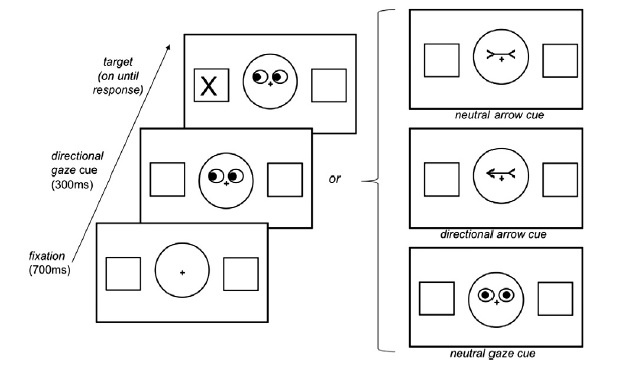 From the perspective of scientists communicating autism-related research to the public and their peers, to say that ASDs perform “differently” in the domain of social communication from NTs lacks specificity. Hence, you see terms such as “deficit’ or “impairment,” which are references to domain-specific under performance compared to the larger population. The terms are not meant to suggest anything beyond that.